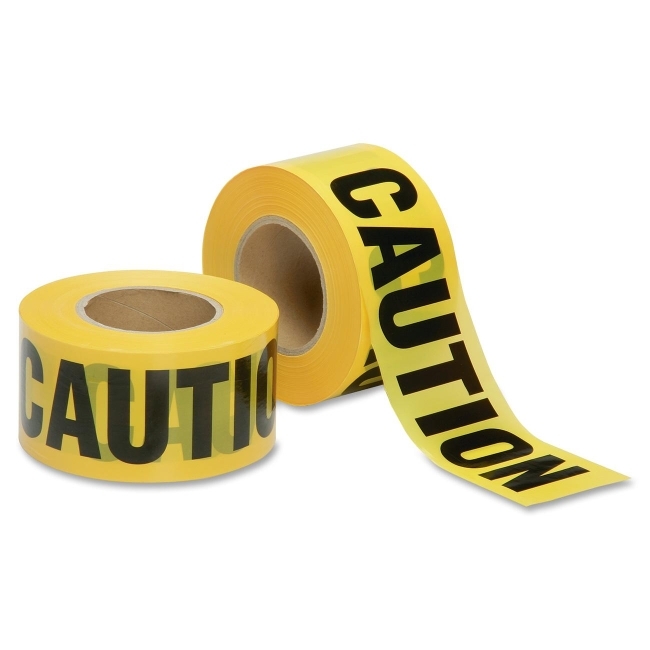 Barricade tape features the words "CAUTION DO NOT ENTER" printed in black letters on yellow background. 3" wide tape offers a 1000' length for extended use. Cardboard dispenser prevents tape from unraveling during storage. 2 mil thick tape is made of premium-grade polyethylene and does not have adhesive.